While Southern California has a dry climate it does however receive rain in bursts. Local contractors are claiming they are witnessing major structural damages arising from leaky, old, misaligned, or clogged rain gutters. Local gutter installer Greg Martin is helping homeowners reduce stress by repairing and replacing their old leaky rain gutter systems. Martin is head of the San Marcos, CA based seamless rain gutter installation company, AAA Pro 1 Rain Gutters. “Such damages have resulted in major losses in money, time and personal belongings,” said Greg. His company is offering home owners fast service on rain gutter repairs, new installations, and free quotes. “Besides, these damages are responsible for skyrocketing insurance claims during times of rain and wind storms,” added Greg, who serves all San Diego and North County. The AAA Pro 1 Rain Gutters believes homeowners with failing gutters cause an uptrend in insurance claims. He further believes that homeowners can avoid these insurance problems by maintaining proper fitting high quality rain gutter on their structures. So in response, the company is offering home owners and property managers fast service on rain gutter repair, new installations, and free quotes. AAA Pro 1 Rain Gutters’ custom-fit seamless gutters offer practical solutions. They come from one continuous piece of metal (aluminum, copper, galvanized steel) then cut to the proper length. Aluminum gutters are among those that last for years because they are rust proof and resistant to corrosion. Benefits include guarding the roof edge from fascia rot and water damage caused by rain. “Keeping water away from the foundations of your property helps prevent structural damage. Also prevents erosion and wall stains from roof splash-over. Reducing the amount of standing water on your property is another issue. Standing water is a breeding ground for pests such as mosquitoes. These are some of the protections that our system provides,” explained Greg, an expert in rain gutter installation. His services could potentially save homeowners thousands of dollars in repairing their roofs and foundations. Their aim is to add more value to a homeowner’s property and help eliminate potential health hazards. “With our warranty ensuring the gutters are installed correctly, you’ll be happy with your high-quality rain gutter installation for years to come,” said Greg. To receive a fast and free gutter price quote you can reach him at (760) 445-8762. AAA Pro 1 Rain Gutters is a local San Marcos, CA gutter installer company. They are licensed and insured to install new seamless gutters and gutter guards that will fit one’s home perfectly. High rated seamless rain gutter repair and installation service in San Diego County, CA. USA. Warranty and weekend service is available. Serving Vista, San Marcos, Carlsbad, Escondido, and all surrounding San Diego County. 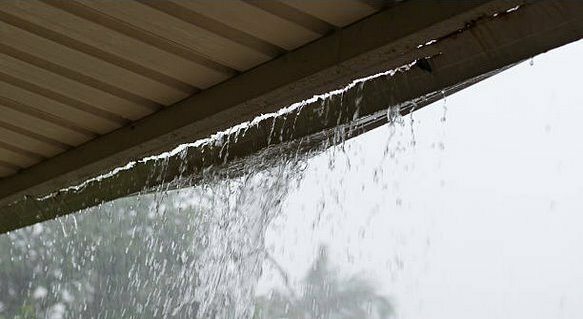 The San Marcos rain gutter contractor specializes in seamless rain gutters, downspouts and matching gutter guards to form a complete rain gutter system. The owner, Greg Martin, is giving away free gutter and downspouts inspections and evaluations. Call or text Greg Martin at 760-445-8762. He and his crew are well known for superior service and installation of a wide range of quality rain gutter products and services for both residential and commercial customers.